Valentine’s day is right around the corner. Beautiful couples all over the world usually celebrate this holiday. However, some of us haven’t been swept off our feet by bae just yet, but who says we have to spend the holiday alone? Why not spend the day or the weekend with your single A1, Day 1’s? Here’s a list of some fun activities and super cute gifts to exchange with your girls to ensure that this will be a lit Valentine’s Day for you and your girls. 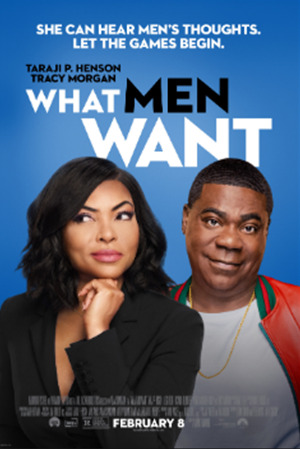 On Valentine’s Day, you and your girls can catch Taraji P. Henson’s new romantic-comedy movie “What Men Want.” You and your single squad can grab dinner before or after the movie. If everyone’s schedule doesn’t permit to meet on Valentine’s Day, you could always hit up a nice Sunday Brunch spot with bottomless mimosas and catch the movie afterwards. Exchange gifts with your girls is a great way to show your love to one another. You can make Valentine’s Day special by buying them the perfect gift that you know they’ll love. If they’re an avid reader, purchase Michelle Obama’s newest book “Becoming” or Rachel Hollis’s “Girl, Wash Your Face: Stop Believing the Lies About Who You Are So You Can Become Who You Were Meant to Be.” These books are sure to motivate your tribe to be the best versions of themselves! Also, my favorite store, Target has an entire page dedicated to celebrating Galentine’s Day with super cute gifts to exchange with your girls on their website. Here are a few items from their Galentine’s Day collection. You can order online or shop in store to get these thoughtful gifts in time for Valentine’s Day! 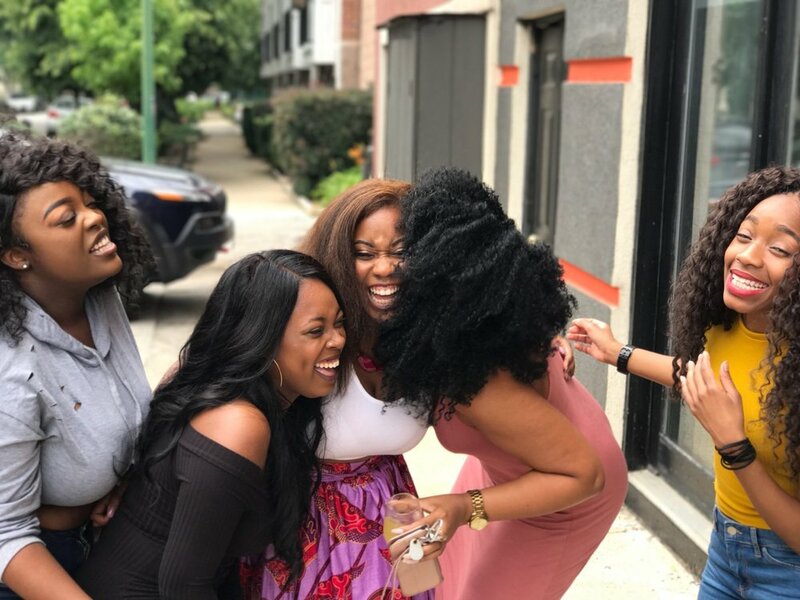 What if you and your girls went on an epic road trip that turned into your own version of “Girl’s Trip”? Sounds dope, right? You each can take the whole Valentine’s Day weekend to get away and visit a new city all while taking bomb selfies as well as awesome Snapchat Videos to remember your 2020 Valentine’s Day Weekend. You can choose to travel near or far, what matters most is the quality time you ladies will be spending together. You can also find great all-inclusive, hotel, resort, and activity deals on Groupon to save some coins while having a great time! Some of us maybe a little low on cash right now but that doesn’t mean that we can’t participate in Valentine’s Day festivities while still having an awesome time. If you and your friends love chocolate or candy, you all can exchange small gifts bags or baskets full of your favorite treats. You can find all the candy you need and adorable containers to put them in at your local Dollar Store. You can visit your local Walmart to purchase large amounts of candy and other treats at a low price. Another simple, yet fun, idea is to have a potluck dinner with your girls or bake cupcakes together. Each friend can bring a dish to share. Once everyone makes their own plate, you all can sit down, bundle up and enjoy each other. You all can watch some of the classics: “Waiting to Exhale,” “Girl’s Trip” or binge-watch your favorite episodes of “Girlfriends.” If you all decide to make cupcakes, you all can make your cupcakes together and decorate them with different icings and toppings to make it your own. It also doesn’t hurt to wash down those cupcakes with a glass of Rose’. No matter what you all decide to do, make sure that you all have fun doing it! Use this Valentines Day as a way to make many memories! Make it a day to celebrate who you are and your sister-friends that keep you going. So Happy Valentine’s Day to all my single ladies!